Filing a claim for unemployment requires contacting the North Carolina’s Employment Security Commission (ESC). The benefits you may qualify for depends on how long the employee was employed and how much they were paid. Unemployment benefits usually range from $41 to $476 a week. To be qualified, an employee must have been separated from their job through no fault of their own and have worked for at least two of the first four quarters of the last five calendar quarters. Additionally, unemployed claimant must be actively engaged in looking for new employment. Employers must pay for a portion of an employee’s unemployment. When determining if an employee is eligible to receive unemployment, the ESC contacts the former employer to determine why an employee lost their job. While layoffs are usually straightforward, disputes often arise when there is disagreement over whether an employee was fired for misconduct, forced to resign, or suffered some sort of retaliation from their employer. In general, terminated employees are eligible for unemployment benefits, but not when willful misconduct on the part of the former employee lead to their being fired. What actually constitutes “willful misconduct,” however, can be contested. If a former employee is determined to be ineligible for unemployment benefits in the initial decision, they can appeal. A hearing, either live or by telephone, will be scheduled before a Referee to determine whether or not a former employee should receive benefits. Subpoenas can be issued for witnesses and evidence may be presented to support a claim that discrimination or retaliation was involved in the decision to fire the employee. 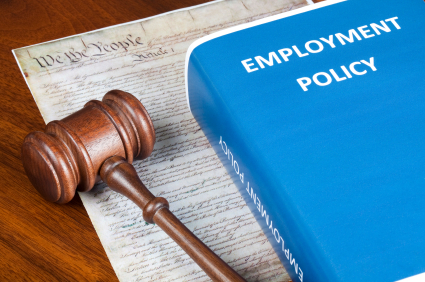 Employers can also be liable for wrongful termination and may find themselves facing civil litigation and an investigation by the Equal Employment Opportunity Commission (EEOC). Collins Law Firm can review a claimant’s case in order to form an opinion about whether the decision of the ESC is justified given the circumstances surrounding an employee leaving a job. We can advocate our client’s position by providing documentation that supports the claim and increase the likelihood of prevailing. If you wish to have a confidential consultation, call us at 910-793-9000.